(Newser) – “After years of development, M&M’s now has the proprietary technology to enter the soft and chewy category," Mars executive Hank Izzo tells Fortune. 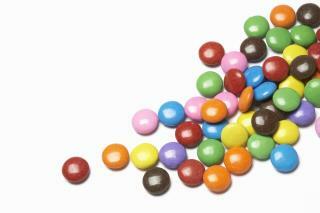 Thanks to our nation's hardest-working candy scientists*, M&M's with caramel centers will hit store shelves next May. After years of trying, including the designing of new machinery, Mars finally figured out how to successfully get caramel into an M&M, making "soft and chewy" the fourth category of M&M (behind "smooth," "nutty," and "crispy"), CNN reports. Izzo says caramel is "extremely trendy" right now, and caramel M&M's are a big moment for the brand. "We want to be part of this category," he says. Mars has built a $100 million factory in Kansas and will hire 70 new employees to make the new variety. I experience say that Caramel M&M's for only sale or use of family profit. Its flavor so fantastic which is use as Birthday cage. Thanks for this mention. I could have sworn I had already seen Caramel M&M's for sale in my state. Maybe they were testing it here or something. Or maybe I'm thinking of a different flavor. Maybe it was the Birthday Cake flavor. Whatever it was, it didn't sound appetizing to an adult.